Cute, colorful, and practical. 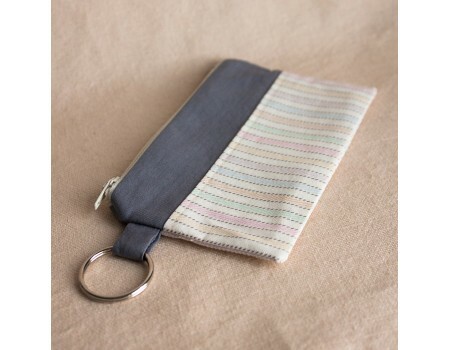 You can never have enough zip pouches! 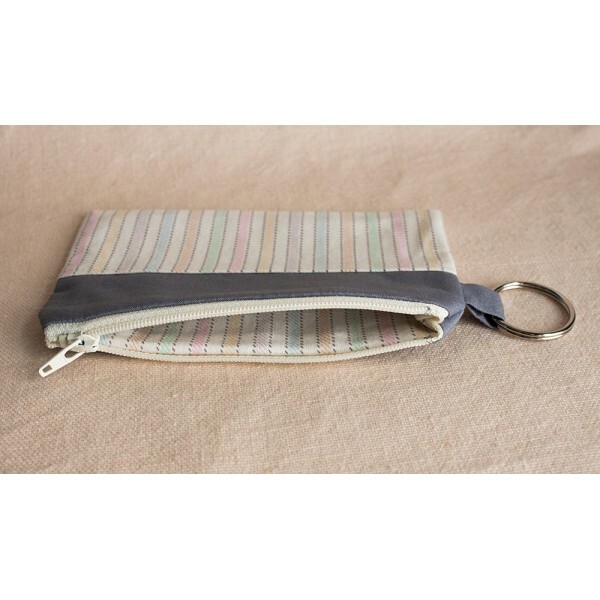 This zip pouch has been sewn from cream cotton with multi-colored stripes. 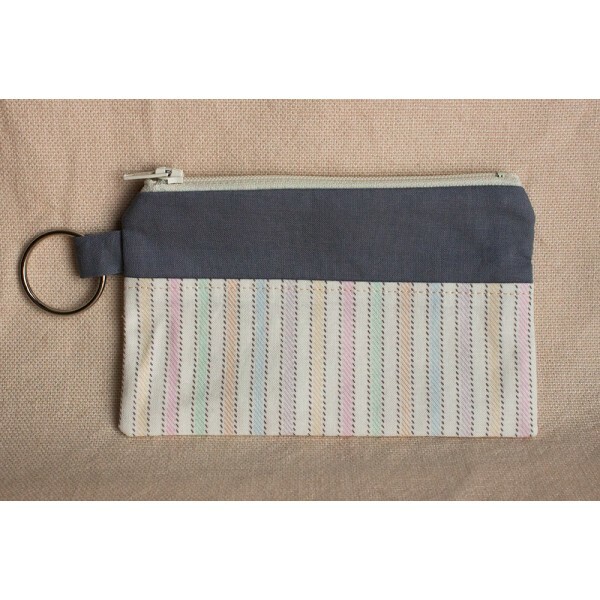 It has a gray cotton accent and closes with a cream zipper. 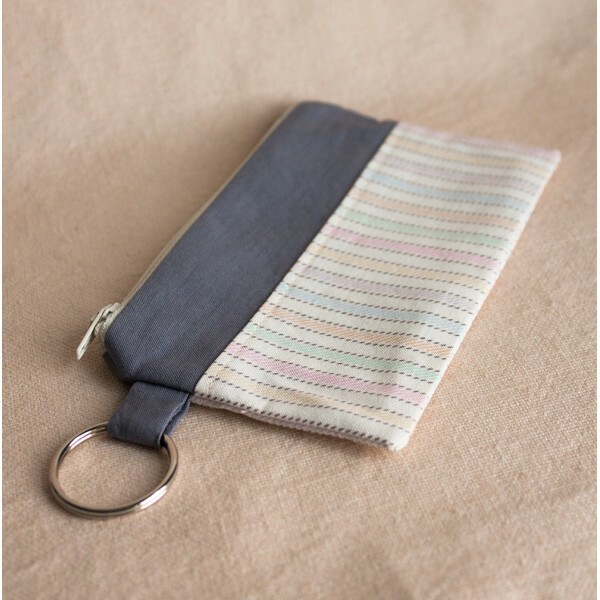 It has a key fob for ultimate convenience. Made with love by Fluffyland.